To buy a Paris Metro Pass good for Paris Metro, Trains, Buses, and Trams one would buy either a Navigo Découverte Pass or a Paris Visite Pass. Which Paris Metro Pass you choose depends on what day of the week you arrive in Paris and how far outside of central Paris you want to travel on Paris Public Transportation. Which Paris Metro Pass to choose? How many days you stay in Paris and the day of week you arrive in Paris are the two biggest factors in choosing a Paris Metro Pass to buy. If you arrive between Monday and Thursday, Navigo Découverte is always the best choice if you plan on staying more than 1 day in Paris. Navigo, as a week pass, is only on sale for the current week up until Thursday midnight. After Thursday midnight, all Navigo week pass sales (made from Friday 00:00 till Sunday 23:59) are only valid for travel for the following week starting Monday 00:01. Example: if you purchase Navigo on Friday at noon, you cannot use the Navigo week pass until Monday morning. One can buy Navigo Day Pass any day of the week and use Navigo Day Pass immediately until 23:59 that same day (or until end of Night Bus service if you’re using night buses, ending around 04:30 in the morning). You cannot have more than one day of Navigo Day Pass on your Navigo card. 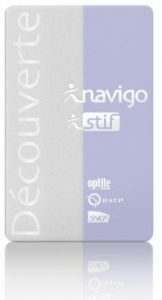 If you need Navigo Day Pass for two days, you need to buy Navigo Day Pass again the following day if you want another day of Navigo pass usage. Navigo Day Pass is valid on RER B trains from CDG Airport to Paris city center and from Paris city center to CDG Airport on RER B.